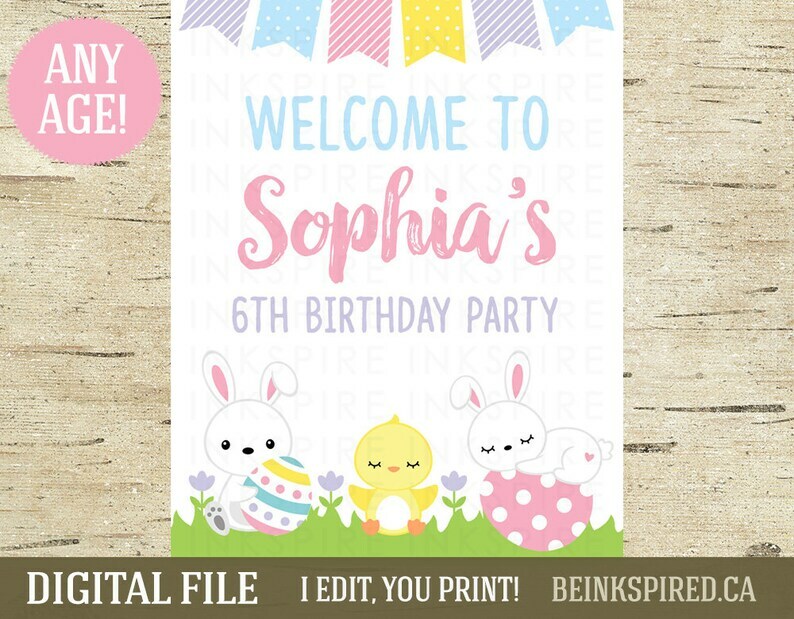 Welcome your guests to your child's EASTER birthday party with this printable sign! I EDIT, YOU PRINT! ► Step 5: Your files will be sent to you within 1 BUSINESS DAY of receiving BOTH your order and your child's information.